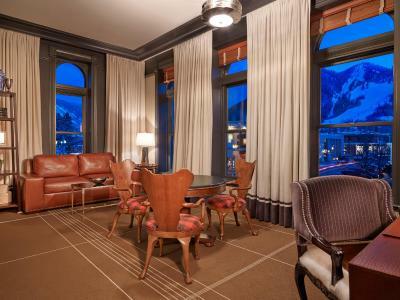 Lock in a great price for Hotel Jerome, An Auberge Resort – rated 9.4 by recent guests! The room and bathroom were huge and recently updated with all the modern conveniences. The beds are extremely comfortable. The location of the hotel is great for local restaurants and shopping. They provide free shuttle service to and from the airport and to and from the different ski resorts in the area. 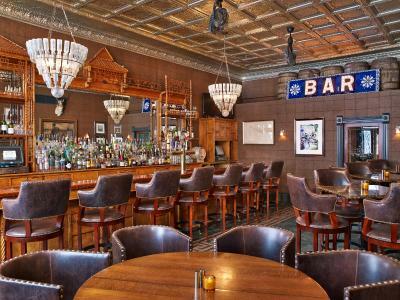 There are two bars and two restaurants on the property serving everything from pub faire to gourmet dining. There is nothing that we could complain about during our stay. They even provided us with a late check-out when our flight was delayed. 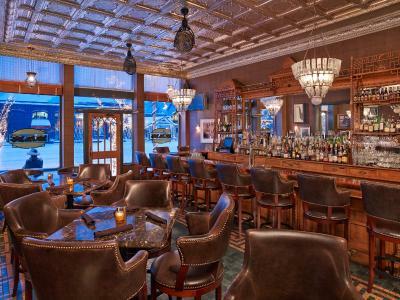 There is a great little speakeasy hidden on the property. The mixologist made THE BEST cocktails. 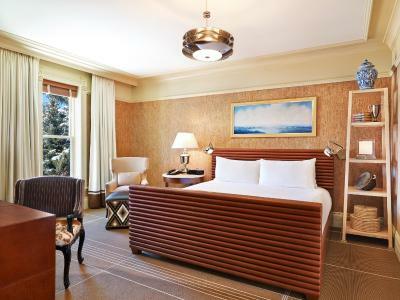 Classic hotel with antique feel but modern facility. Excellent food. Good gym. Great service, great location. We loved the courtyard! We had cocktails and people watched. Beautiful view of the mountains. We were so lucky to have beautiful weather our entire stay. The gift of the G wagon so we could drive around was wonderful! Staff, food and service was excellent. I wish I had seen the famous ghost.. maybe next time. No one ever wants to check out. I don't blame the ghost for hanging there ( for free too). Location on Main Street is good.. close to restaurants and stores. My wife and I enjoyed this hotel immensely. The location is ideal in the center of town. The view is spectacular. 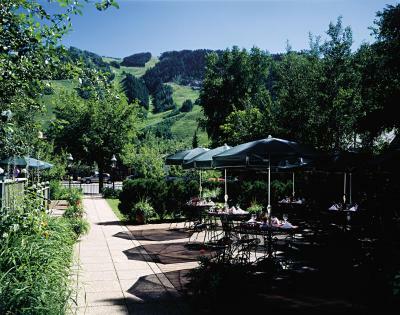 The hotel has a number of exceptional restaurants and bars that are not to be missed. All in all, this is a beautiful place and one that we will no doubt return to on future visits. Gorgeous ambiance and most attentive staff. Special treats at night made all the difference! Beautiful and historic hotel with excellent service. I loved the interior and food! Staff was helpful and nice! 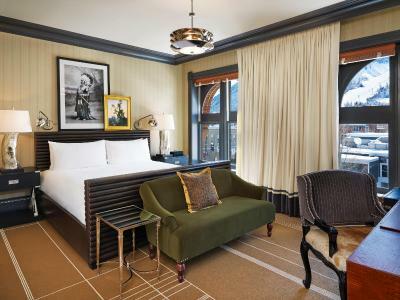 Hotel Jerome, An Auberge Resort This rating is a reflection of how the property compares to the industry standard when it comes to price, facilities and services available. It's based on a self-evaluation by the property. Use this rating to help choose your stay! 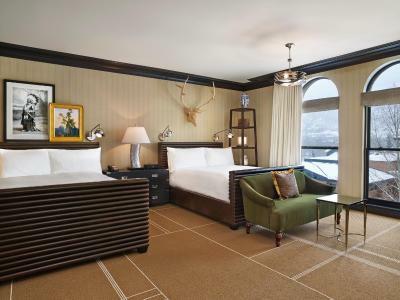 One of our top picks in Aspen.Originally built in 1889, Hotel Jerome, An Auberge Resort is a 10 minute walk to the Little Nell and the Silver Queen Gondola ski elevators. 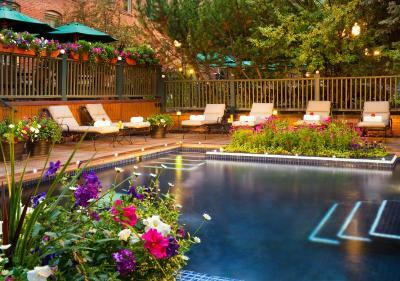 Free WiFi is provided and guests can take advantage of an outdoor pool, spa services and on-site gourmet restaurants. 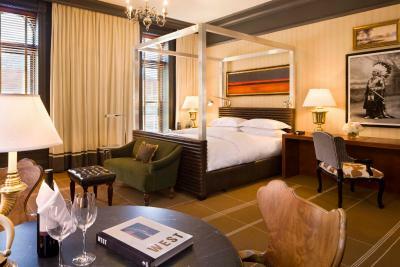 A flat-screen TV and DVD player, as well as an iPad are available in each room. 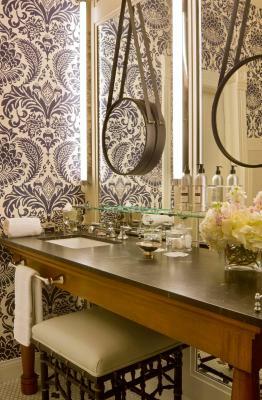 Every room also comes with a private bathroom. 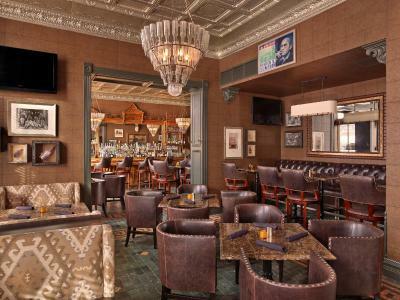 Prospect Restaurant offers American cuisine for breakfast, lunch and dinner, as well as brunch and guests can enjoy a drink at The Living Room bar in the lobby and the J-Bar, which also offers brunch, lunch and dinner options. 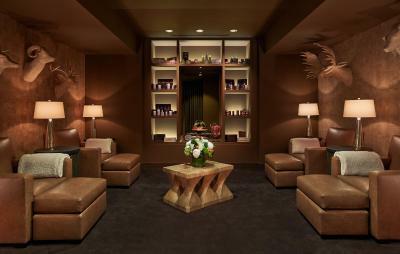 The Auberge Spa offers massage and body treatments. The area surrounding the Hotel Jerome is filled with endless activities. In summer months enjoy golfing, cycling, fishing and more. The winter months allow for skiing, dog sledding and ice skating. Ski equipment hire is available. 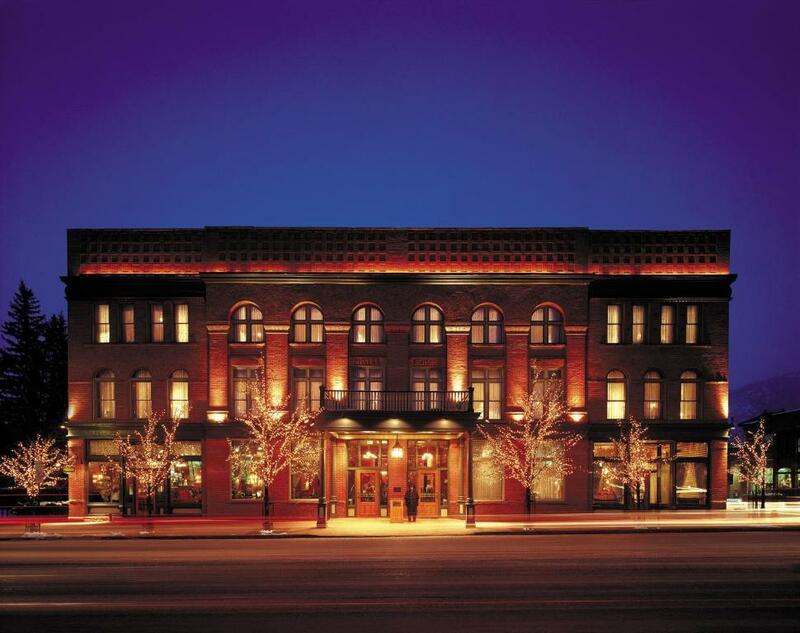 The John Denver Sanctuary is 1,000 feet from Hotel Jerome, while Aspen Mountain Ajax is 1,650 feet away. 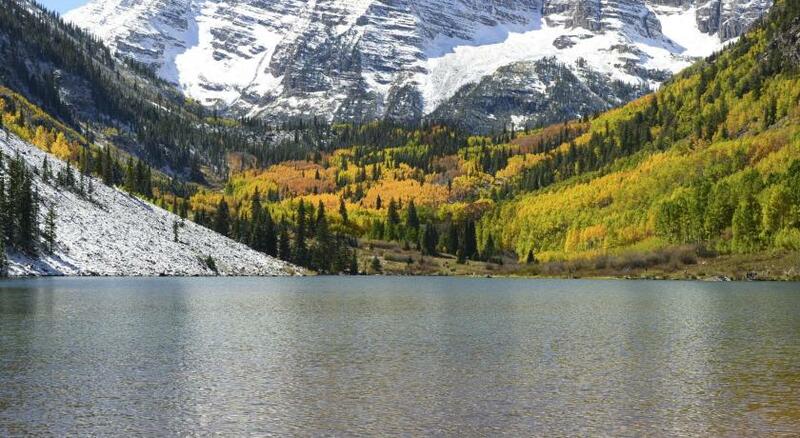 The nearest airport is Aspen-Pitkin County Airport, 3.1 mi from the property. 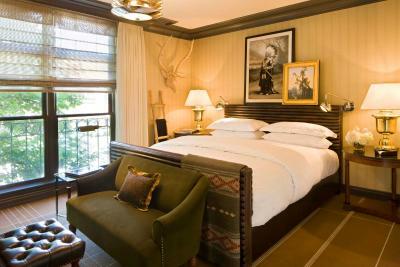 When would you like to stay at Hotel Jerome, An Auberge Resort? A sitting area with small sofa or armchair, 40-inch flat-screen TV and work desk are featured in this room. 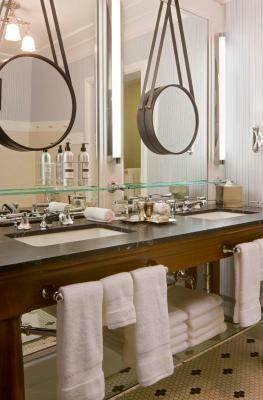 An oversize bath and separate walk-in shower are available in the private bathroom. 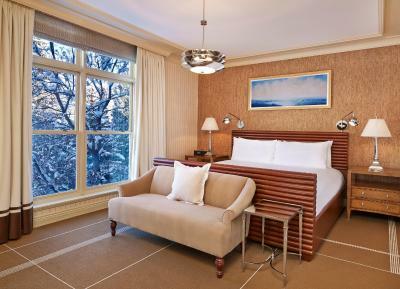 This spacious suite features a 40-inch flat-screen TV. A dining area and full living room are also furnished. The private bathroom offers a separate walk-in shower and an over-sized tub. A 40-inch flat-screen TV and work desk are featured in this room. An over-sized bath and separate walk-in shower are available in the private bathroom. 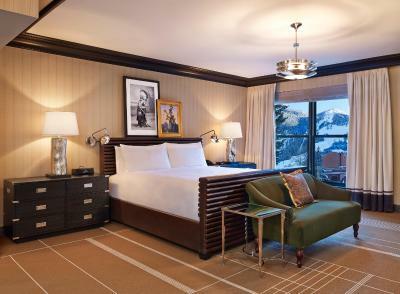 This very spacious suite has a separate living room with a 42-inch flat-screen TV and a sofa bed. A stereo system and an additional 40-inch flat-screen TV is also included. An over-sized bath and separate walk-in shower are available in the private bathroom. This suite features a bathrobe, cable TV and air conditioning. 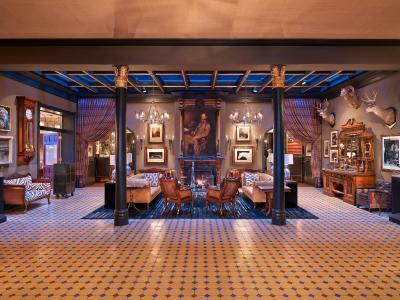 House Rules Hotel Jerome, An Auberge Resort takes special requests – add in the next step! 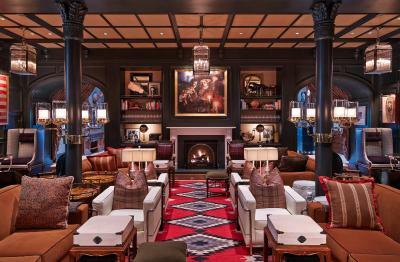 Hotel Jerome, An Auberge Resort accepts these cards and reserves the right to temporarily hold an amount prior to arrival. Great location for the town center. Bit away from the ski area - but this is not a draw back compared to the service. 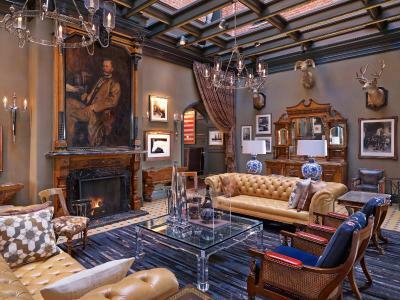 Everything about this hotel is a dream come true. One of the biggest surprises were the staff working here. While you expect excellent service with hotels of this caliber, this went far beyond. The lengths the staff went to, to ensure your every need was met was unlike anything I've ever experienced. You were always made to feel as though you were the most important guest they ever had. Facilities were simply stunning. 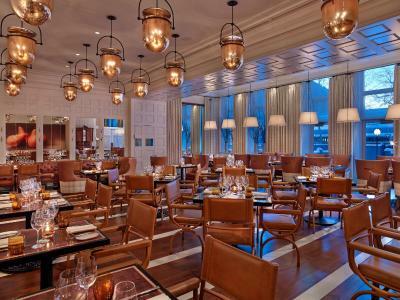 Restaurants offered a great range of cuisine, ambiance and pricing. 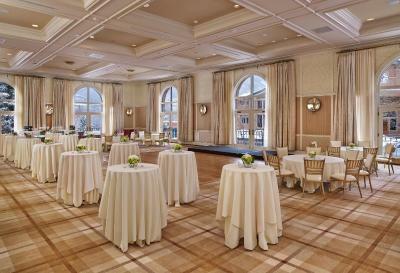 The rooms were impeccable as were the amenities. We had a wonderful stay! It’s pretty much faultless, the only suggestion is to enhance the shuttle times, there seemed to be early and later times. The closest bus stop was just a few minutes walk so not a big deal at all - a shuttle so much nicer though! The attentiveness of the staff was unparalleled. One of the best hotels have ever stayed at, if not the best! Overall we loved the property! The staff was so nice and friendly! If there was anything that I’d have feedback on is the hallway to where we stayed was really really dark. Just generally fabulous, and the staff were very helpful. Nicely located near the restaurants too. Rooms are a bit dark. The rooms are a little tired inside and the pool is very basic and not very big. For $800 I'd expect FAR more luxury and an experience. After walking around the town I saw a couple much more suitable hotels which I'll try next time over the Jerome. Every single detail was on point - amazing rooms, great gym, great food, I could go on and on! I truly incredible hotel - I just wish I could have stayed for longer!